We have a fun new design just in time for the football season. 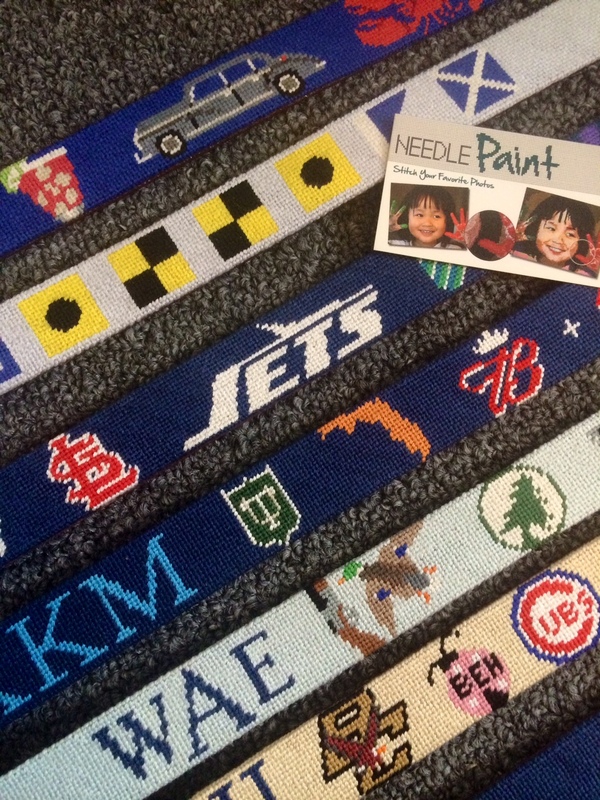 The custom football needlepoint belt is the perfect gift or project for the “kid” in your life who loves to spend time with the ball and with friends watching their favorite teams. This design was created with customization in mind. We can adjust the colors of the: helmets, background, add designs to the helmets, add team numbers into the design, remove parts of the design and add team logos, and add a monogram to top it off! 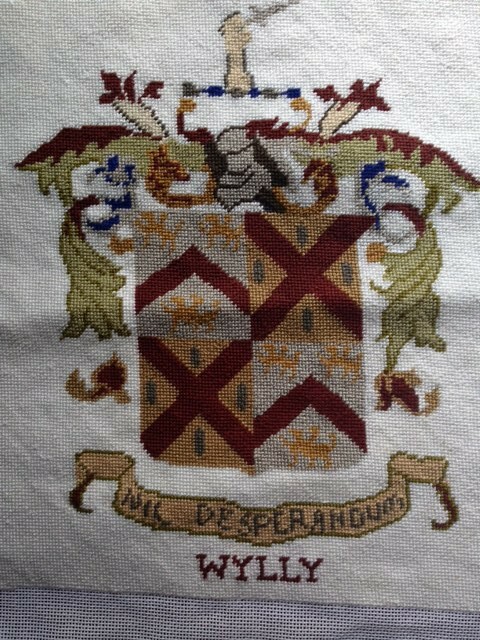 As with all of our designs, this is available as a belt or a DIY football needlepoint kit. 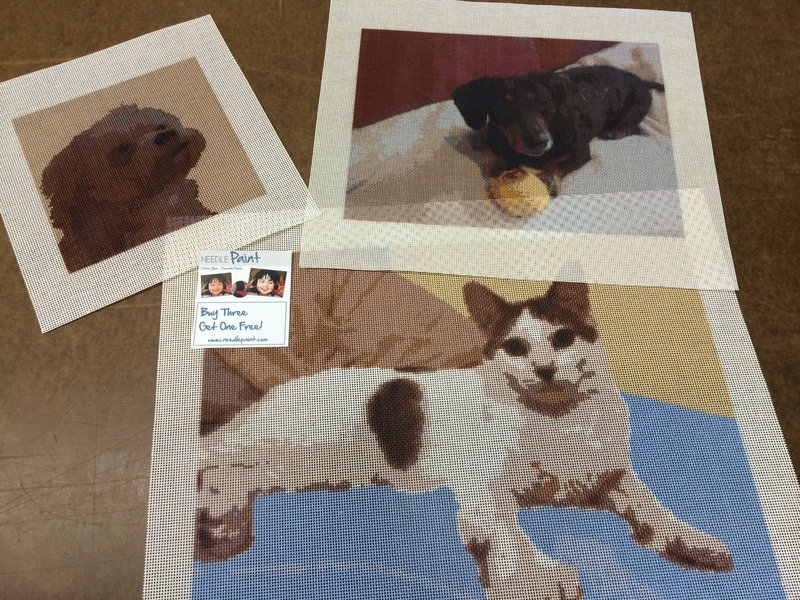 Friday Favorites – Custom Needlepoint Belt Kits – Dogs, Cats, Rabbits, and More Fun! This week I’m really excited about the latest statue of liberty canvas design! Look at the bottom left khaki design and you’ll see it. Actually, look at all these, they are a great assortment of how talented our designers are! 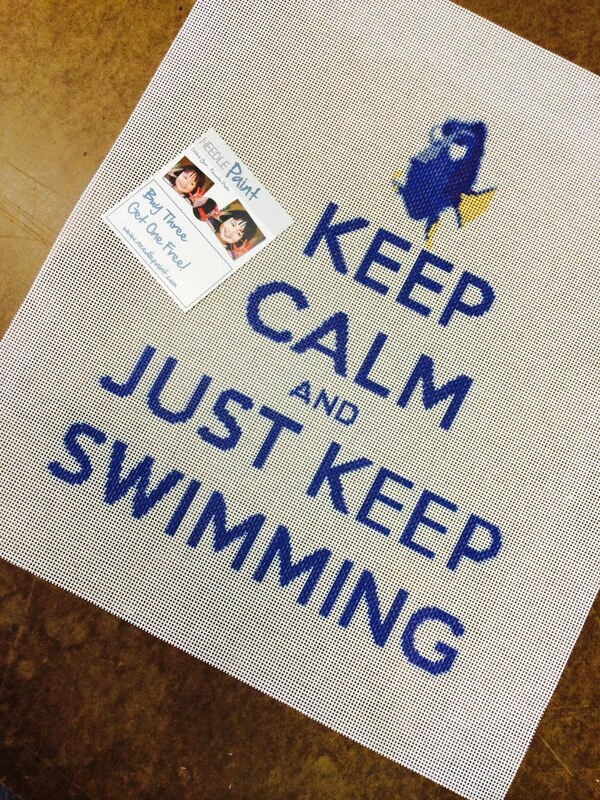 Fun “Keep Calm” design from a customer. More positive feedback came in this week, too! 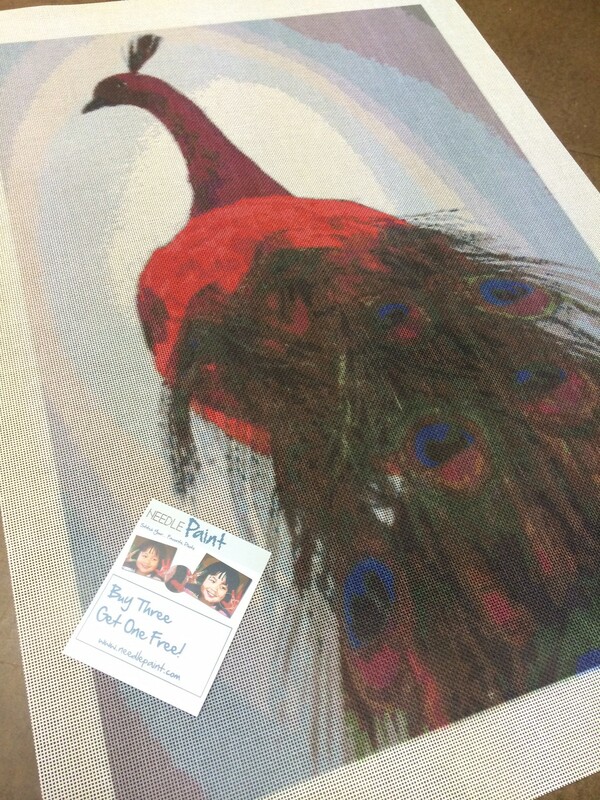 “Just opened the canvas…and I absolutely LOVE it!!! You did such a fabulous job capturing the dogs!! 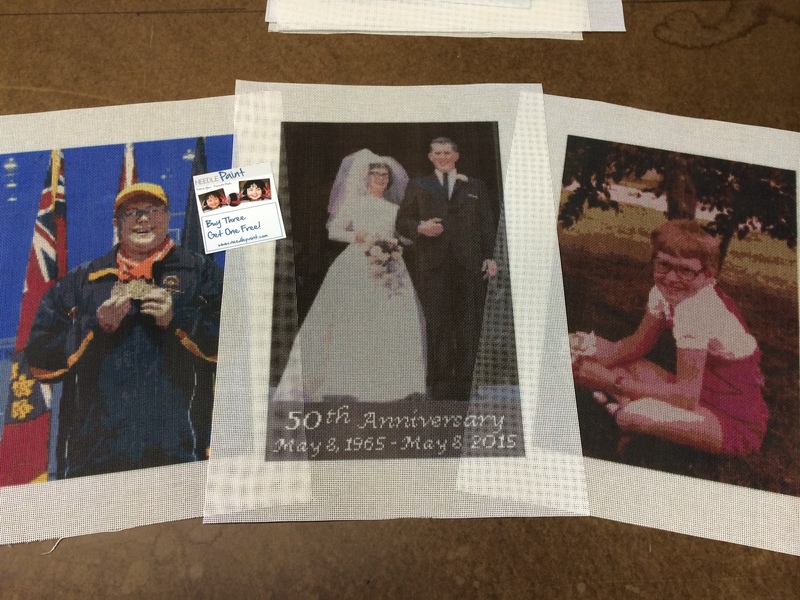 !…..and the thread colors are perfect! I can’t say enough good things about you and your company…from start to finish you have been a pleasure to deal with. I’m amazed at the quick turn around from concept ideas to finished canvas and even your packaging and shipping are terrific! I’m so happy I stumbled upon your website! 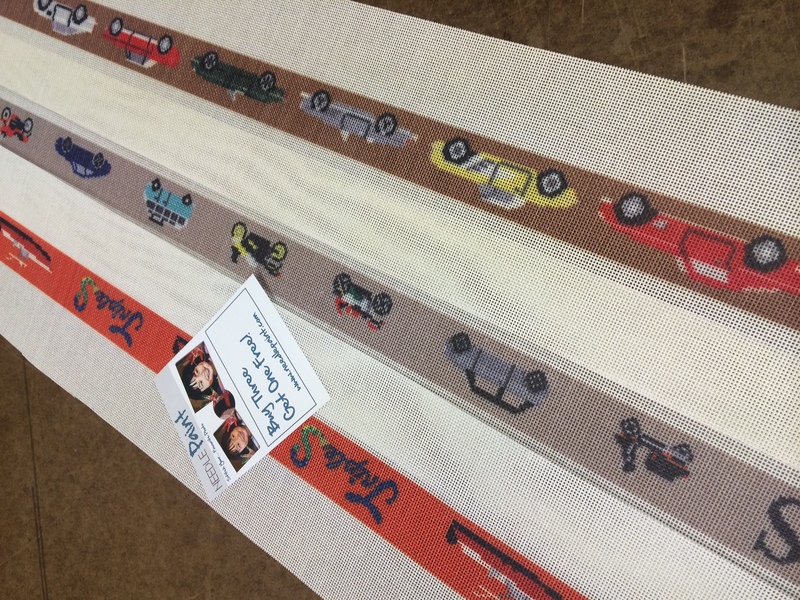 Two new custom needlepoint belts fresh from our stitchers! The first is a Life Treasures design, simple but classic colors and a lot of team pride! First are 3 positive reviews and one ANGRY customer. And on to the ANGRY customer (this was for the cat canvas that was featured in last week’s Friday Favorites). Have you ever felt like somebody can YELL at you through email? Well this customer loved to use the caps lock. The gist of the problem, was that when we made the canvas, it did not show the pink in the cat’s ears or the green in the cat’s eyes. The customer had said the wool colors were not correct. After a few emails with a lot of UPPER CASE ANGER, I finally figured out that the customer actually did not order any wool from us. Thus I can understand some frustration. Now, we think that sugar is the answer to solving problems, so, every email I requested to know what we could do to fix it. We want to be sure our customers are happy with their projects. 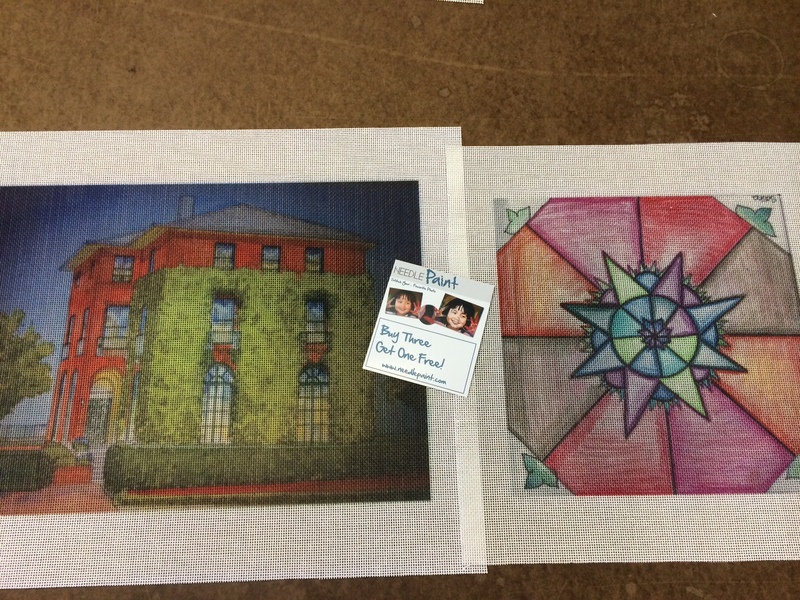 We even guarantee the quality of all of our canvases, including custom designs. So, I was a little confused as to why I kept getting ANGRY EMAILS back. I offered to remake the canvas with the adjustments, but this seemed to induce MORE ANGER. The end result is that they seem to be keeping it as is. The reason I’m writing about this email, is I believe it may be helpful to others. #1. What you see on the computer screen is what your canvas will look like. If you want us to adjust the canvas, all you have to do is email us, and we will email you a new preview with the adjustments. #2. 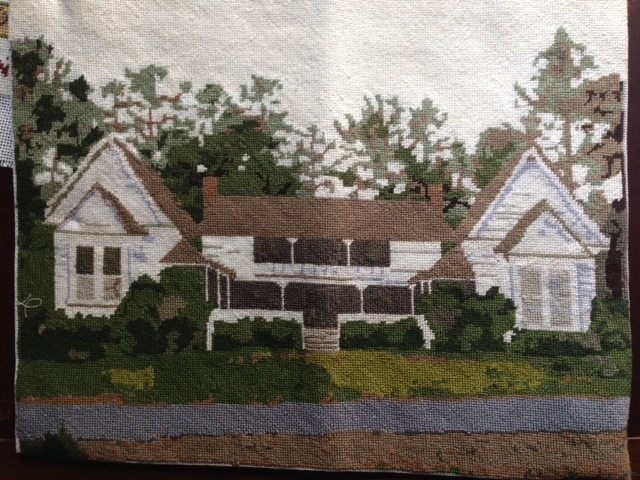 We do not hand match fiber colors on orders that are for the canvas only. It takes us a long time to kit a custom project. 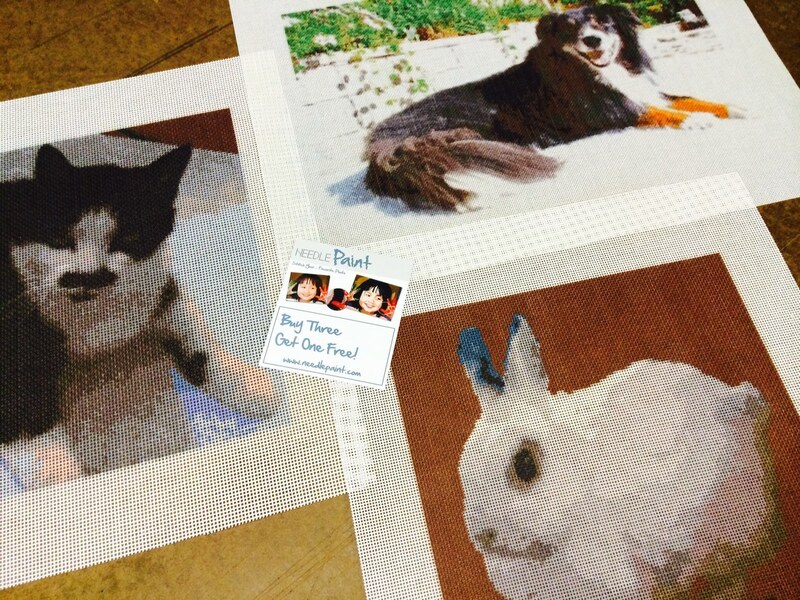 The computer offers a good starting point, but, when stitching animals, we often find that those colors need to be tweaked to match the animal better. We always do this when we ship a kit that includes fiber, and will request a photo if we have any questions about the design. But, for stitchers who are purchasing their own fiber, they should be able to do this on their own when they are rummaging through their stash or at the needlepoint store. #3. If you are not happy with the way your canvas came out, please don’t get angry with us. Just let us know what you’d like us to do to fix the problem and we will take care of it! 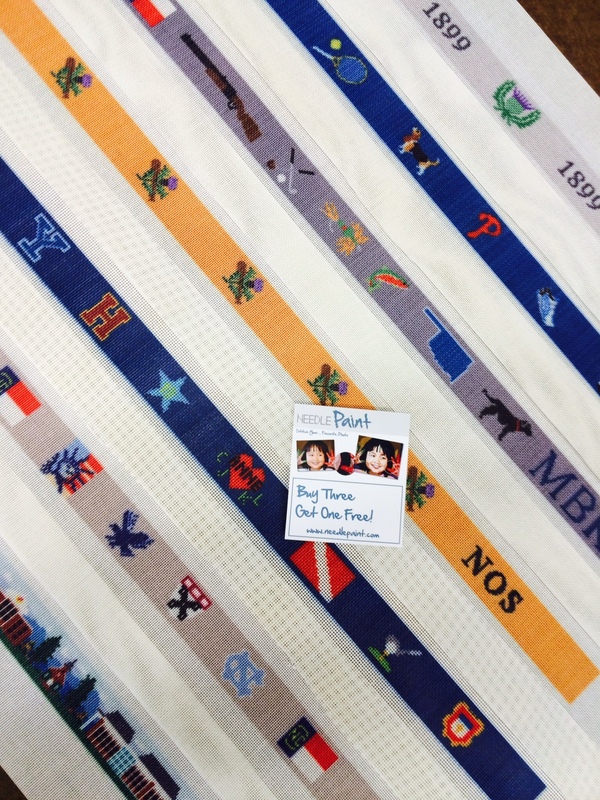 Our motto is happy customers = repeat customers and we want you to enjoy your projects. 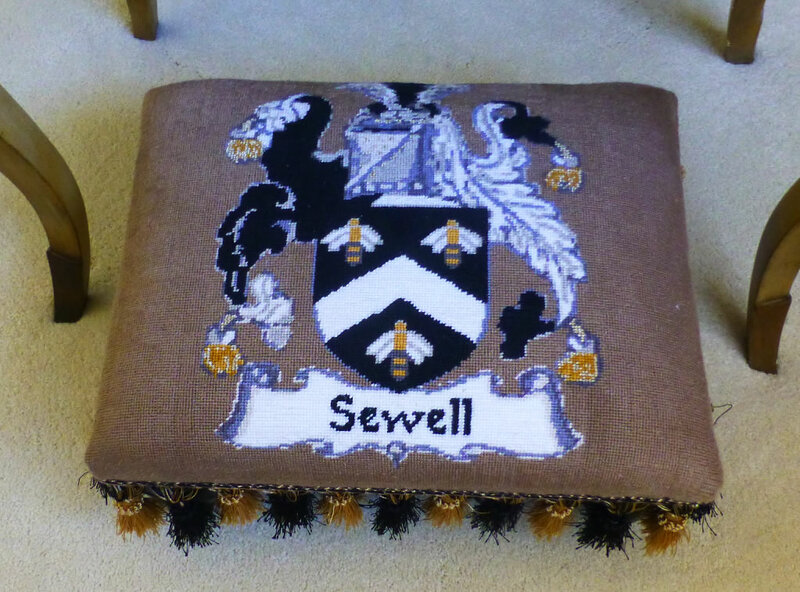 We work with a lot of needlepointers who have ordered 5+ canvases from us and keep coming back. Every customer is important to us and we will do all that we can to make sure you love your project. Worst case that happens, is that you can send back your project and we will refund it. OK, so onto the fun stuff! 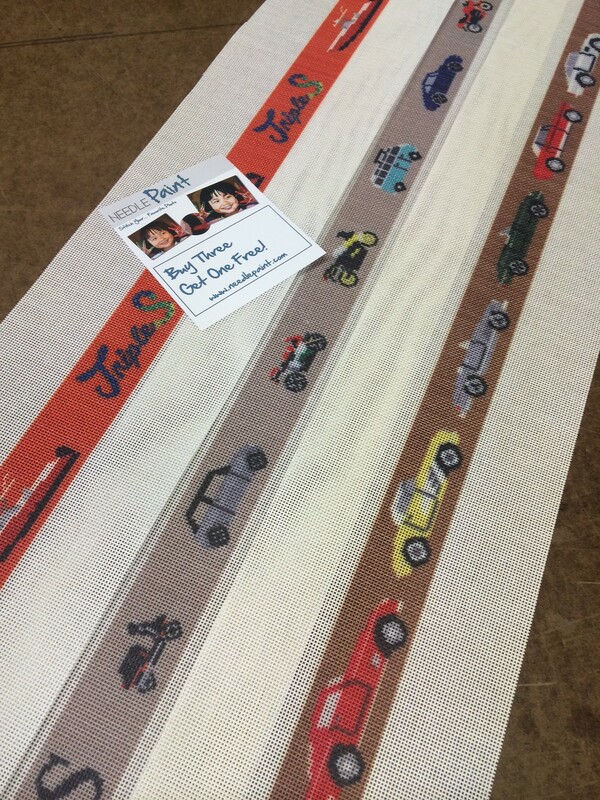 Our first order for the classic car needlepoint belt canvas was timed well with two other custom projects that have boats, cars, scooters, and motorcycles. 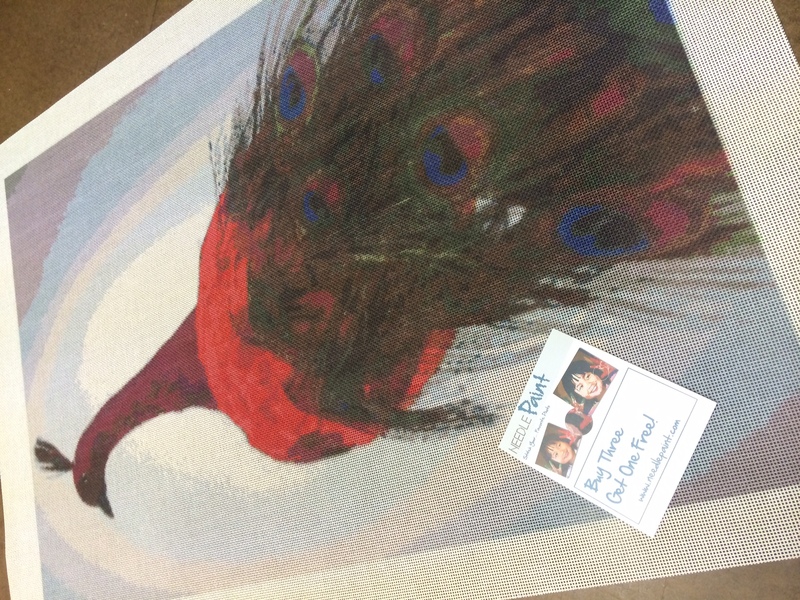 Also, a lot more fun needlepoint projects below, including a giant peacock that came out really well! For the soccer fans out there (or football to those across the atlantic or pacific), we’ve created the new World Soccer Needlepoint Belt. What I love about this design, is that it features different ball patterns and colors from around the world. 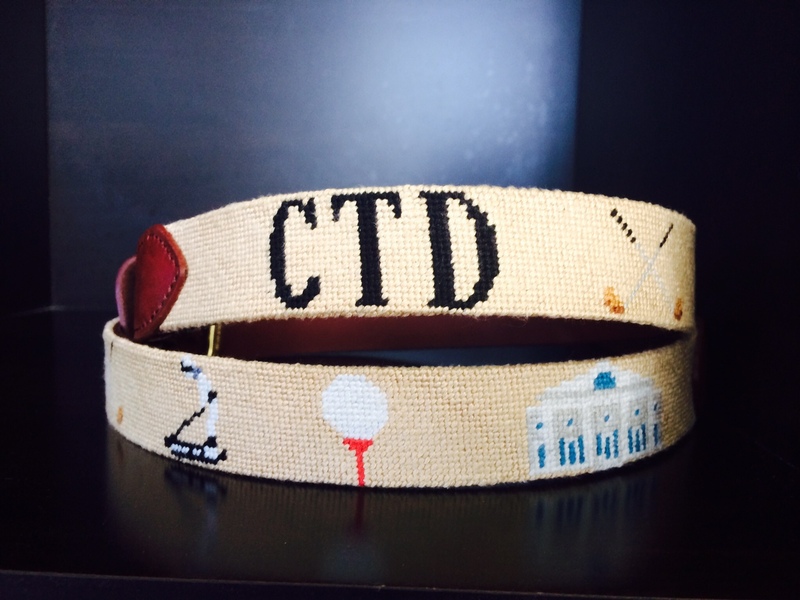 And if you’ve got a specific ball you would like to see incorporate into the design, we’d love to put it on the belt for you! 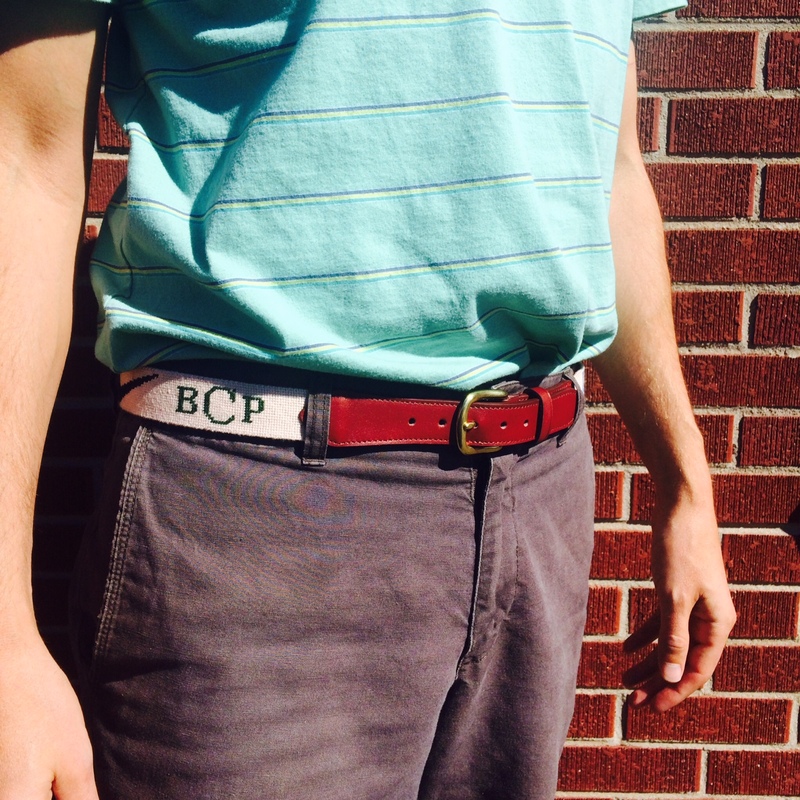 We can change the background color of the belt and add a monogram too. All of our belts are made to order, and also available as DIY needlepoint kits, here is the soccer ball needlepoint belt canvas link. 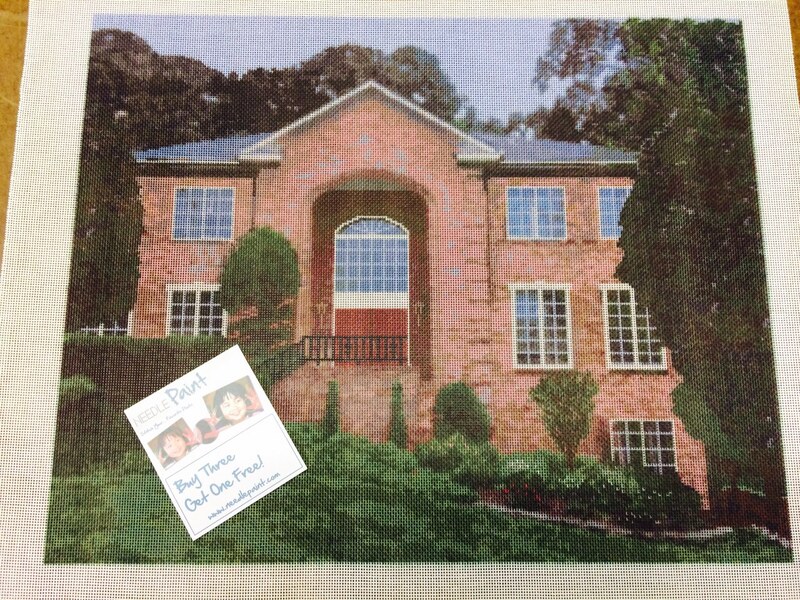 For those of you who are coming to our blog for the first time, we really are all about custom needlepoint designs. 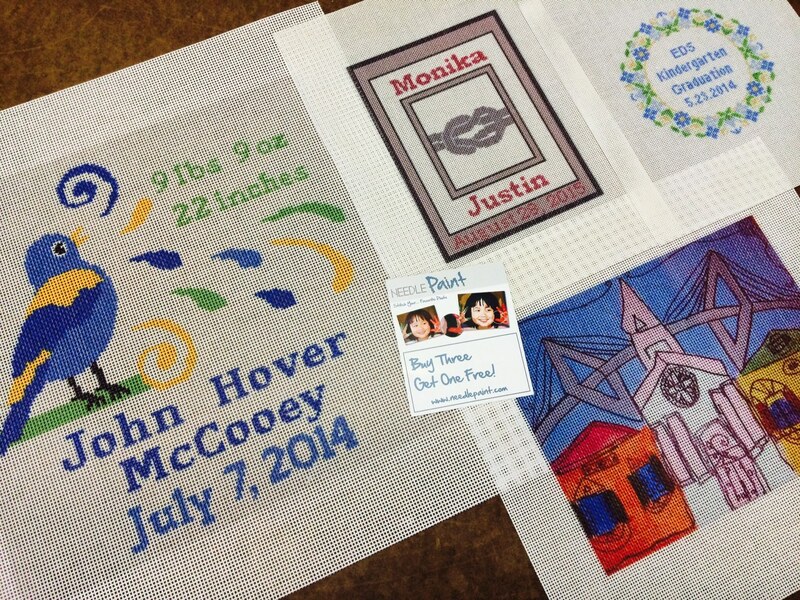 You can see below 5 new belt canvases we made last week for needlepoint belts. All different and all fun! Keep in mind, you can either stitch it yourself, or we’d be happy to make it for you. 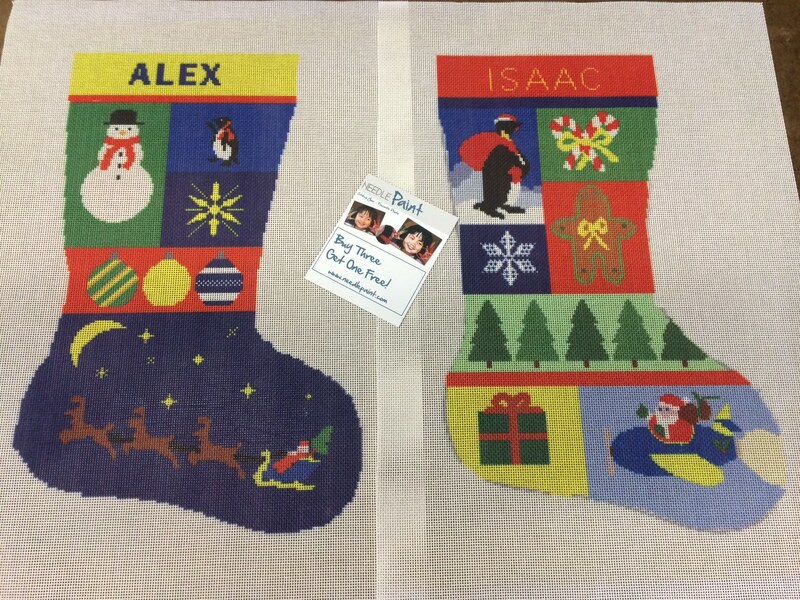 Christmas season is coming and it is getting late to start stitching. We can turn around an order in a week if you order by Tuesday night! 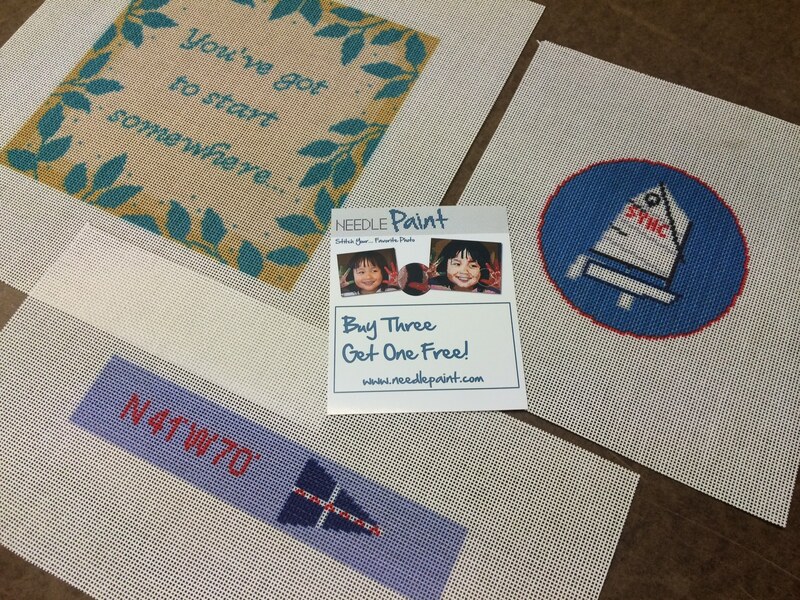 Looking to stitch your own designs? 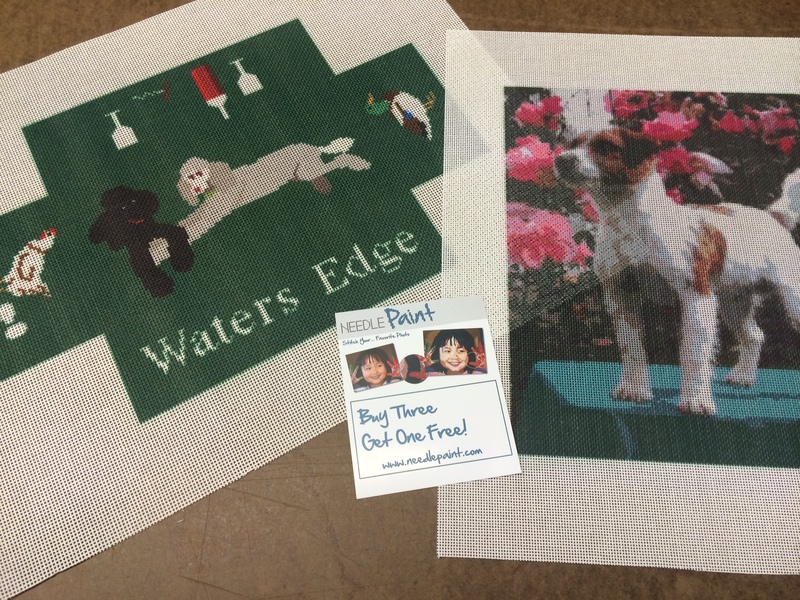 Check out our online needlepoint designer. It is super easy to use and you can see a preview without paying for anything. The following project were designed on our website www.NeedlePaint.com But. Onto the rest of the photos of last week’s Friday Favorites… Have a great week! 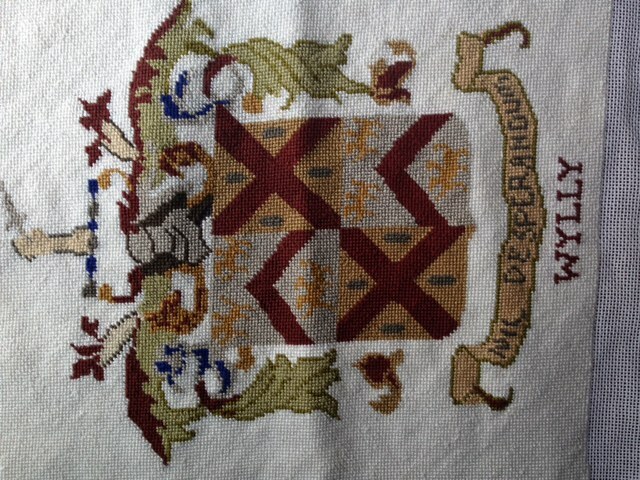 Some amazing needlework to share with you this week! 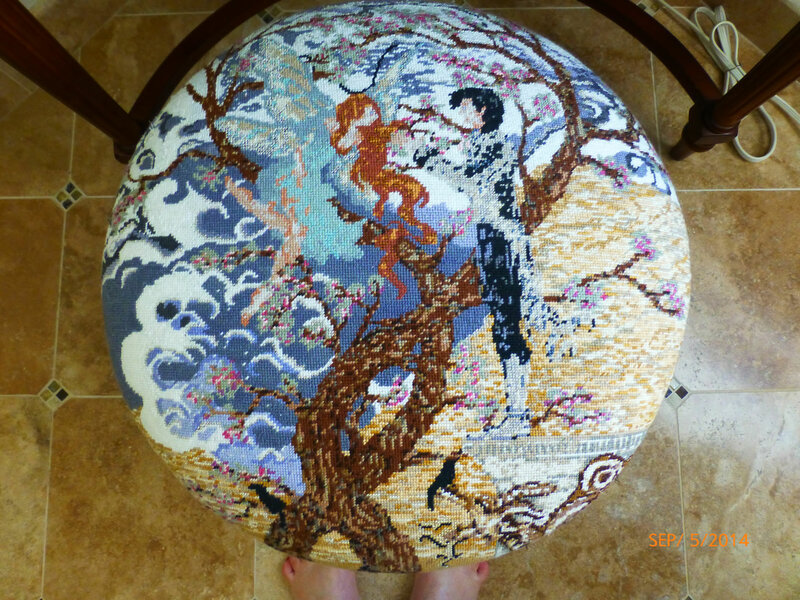 Nancy has stitched two of her projects and put them on a foot stool and a vanity seat. They look amazing! Be sure to click on the vanity seat and zoom in! 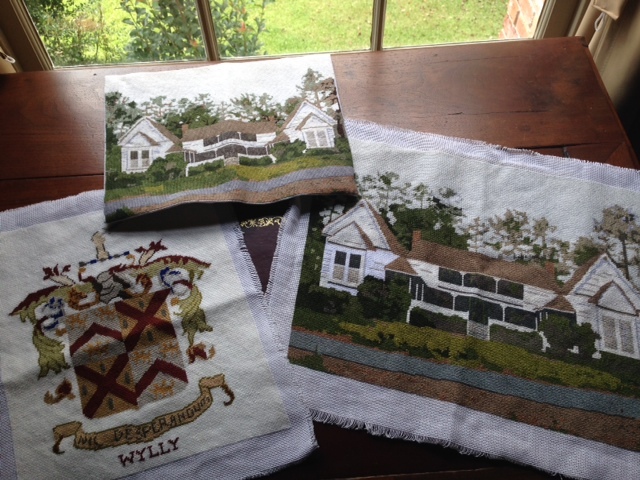 And from one of our favorite customer combos (Revel – granddaughter and Marianne – needlepoint pro and grandmother). Amazing work! Please share our images if you like them! 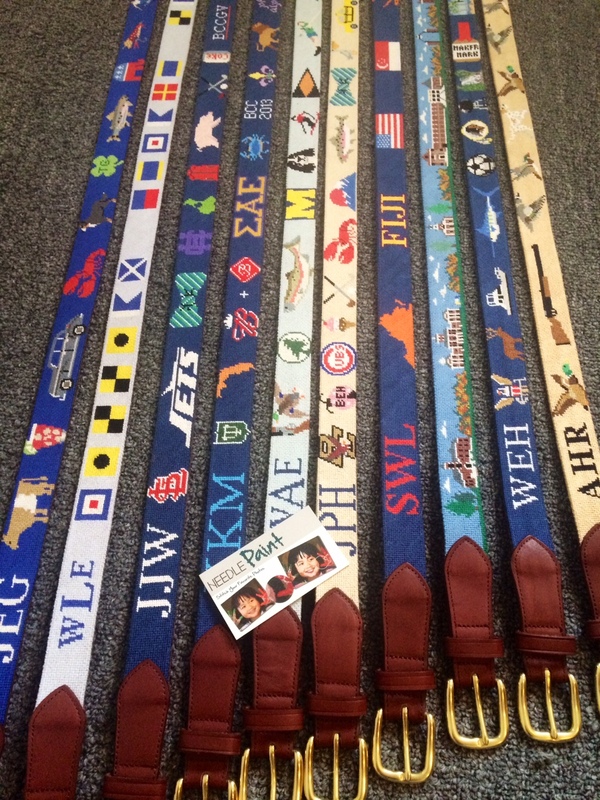 Those of you who are looking for help creating the perfect needlepoint belt for that special someone in your life should see the latest designs from last week! 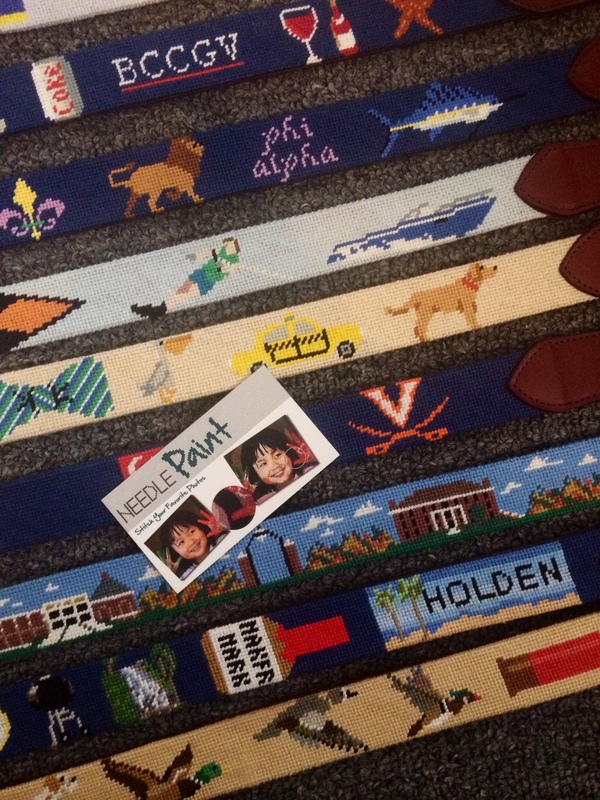 You’ll see a custom college campus, lots of life treasures, a personalized nautical flag, and a custom duck hunting belt. Some of the designs came out so well that I had to feature them in close up images. I love the water skier and the 1956 Mercedes. 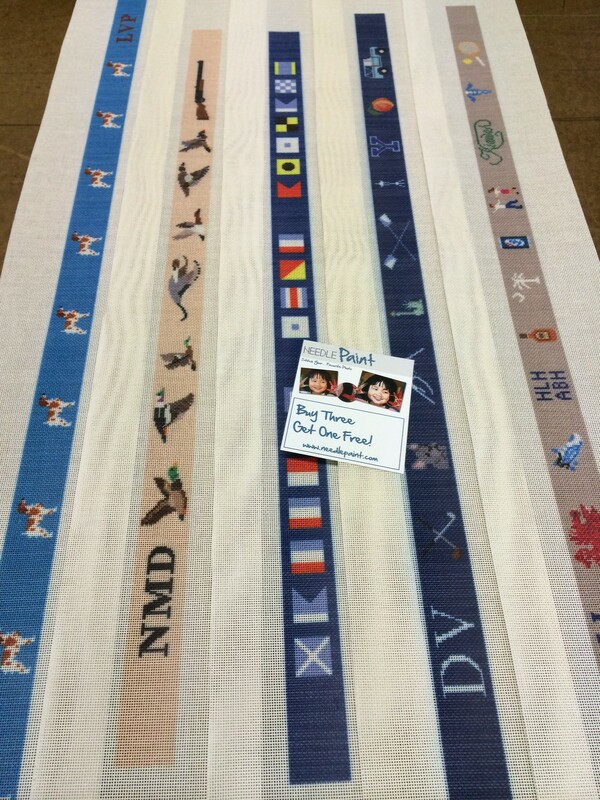 Please keep in mind that we sell fully stitched needlepoint belts AND for those who want to do the needlepoint themselves, we design and make needlepoint canvases for belts. 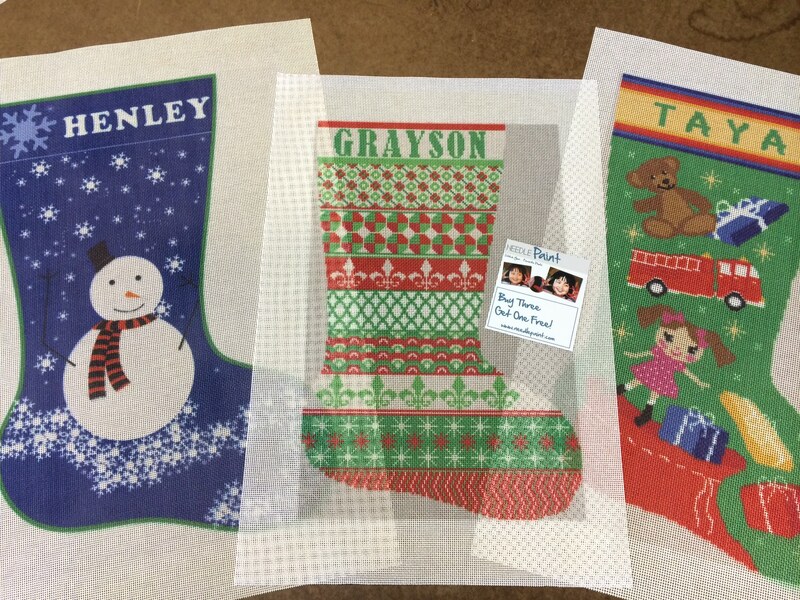 Also note, now is the time to get started on a design for Christmas! If you like these designs, please share them! 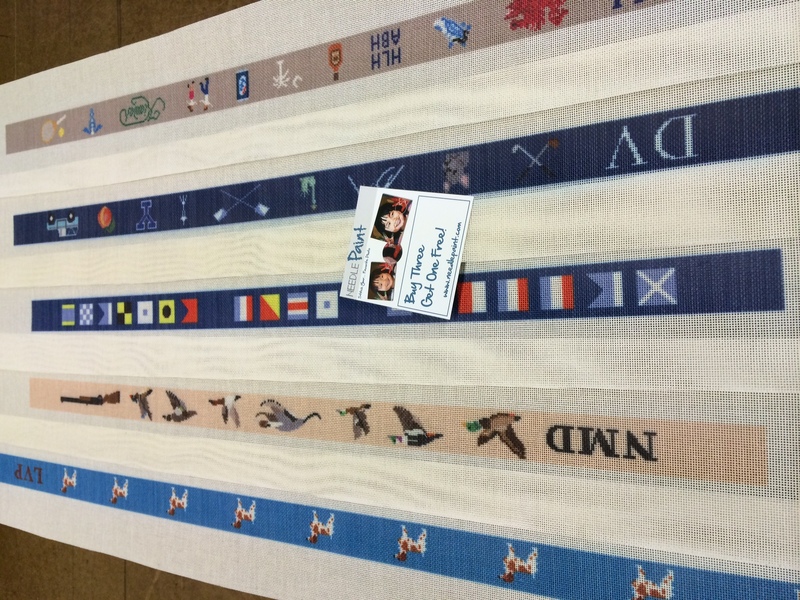 Custom Needlepoint Belt Design Details – Love the Water Skier! 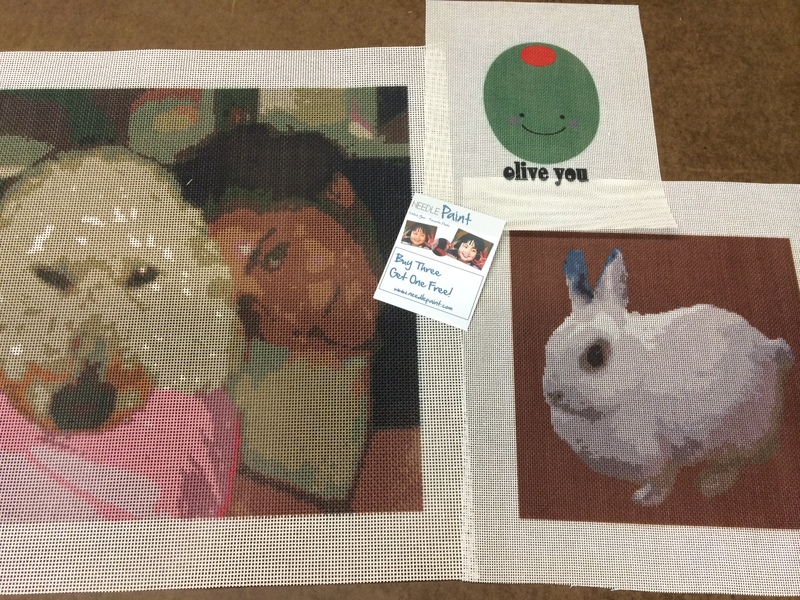 Here are some more fun projects we did this week at NeedlePaint, and a few more comments from our customers. Onto the photos! First we have two custom logo pillows we are stitching, I love clean designs and I’m sure they will be a hit! Our furry friends are a weekly favorite. 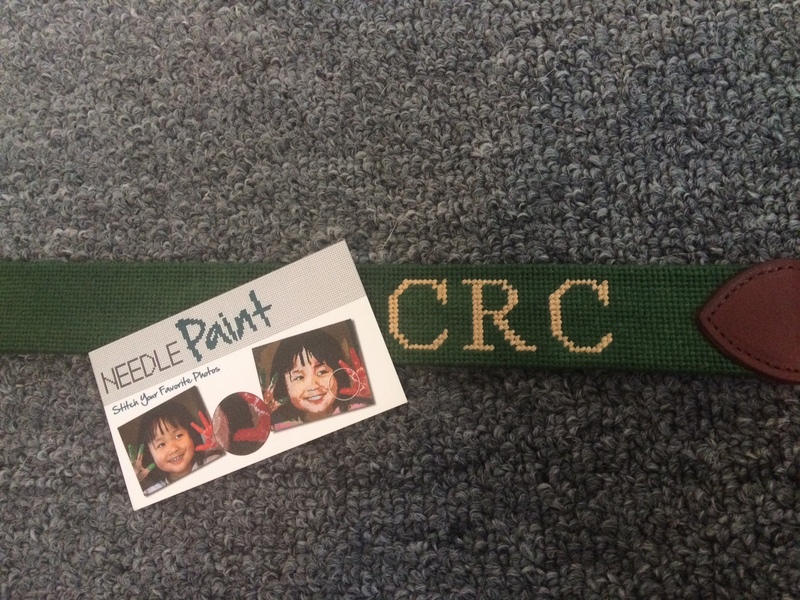 One last photo, this is a belt we stitched that has just a solid green background. This is actually one of the harder things to do, because any stitching issues show up more obviously. I’m super happy with how it came out! 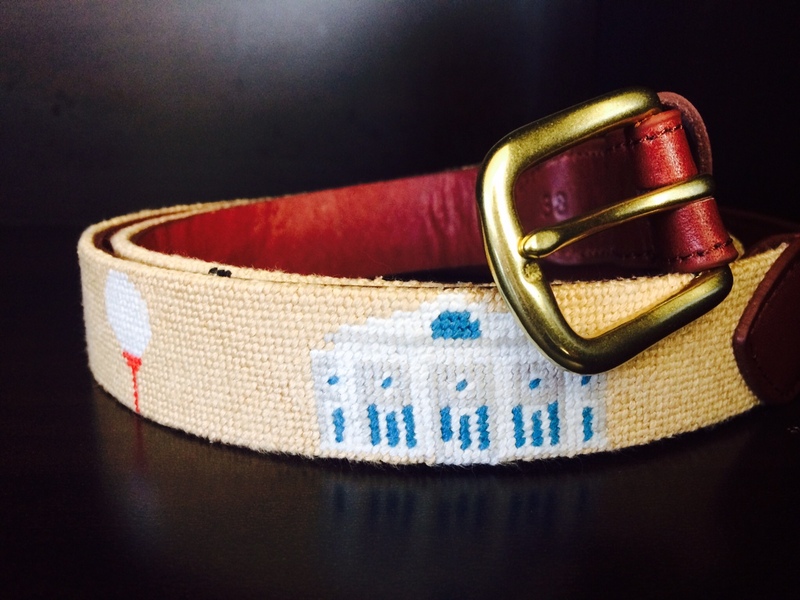 We’ve just added three new design to our needlepoint belt shop! 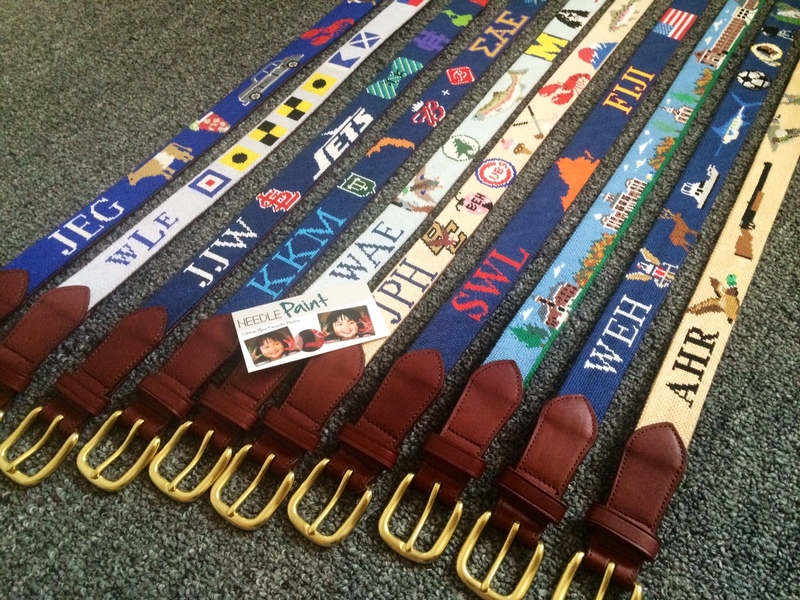 All of our designs can be customized to order and monograms are free! The Black Jack or Poker Needlepoint Belt has jacks and queens facing the high cards of different suits. 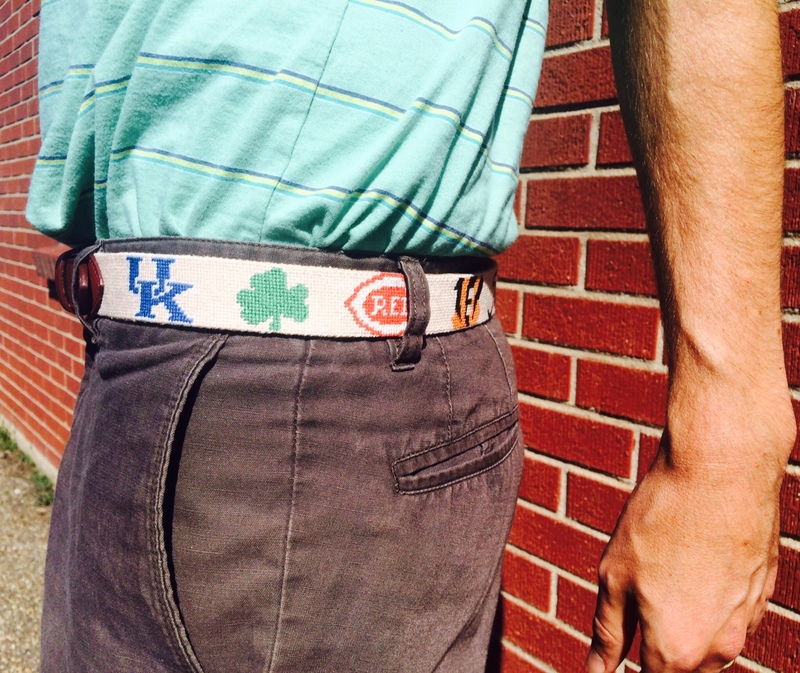 Our Horse Racing Jockey Silks Needlepoint Belt features great colors and will stand out at next years Derby party! 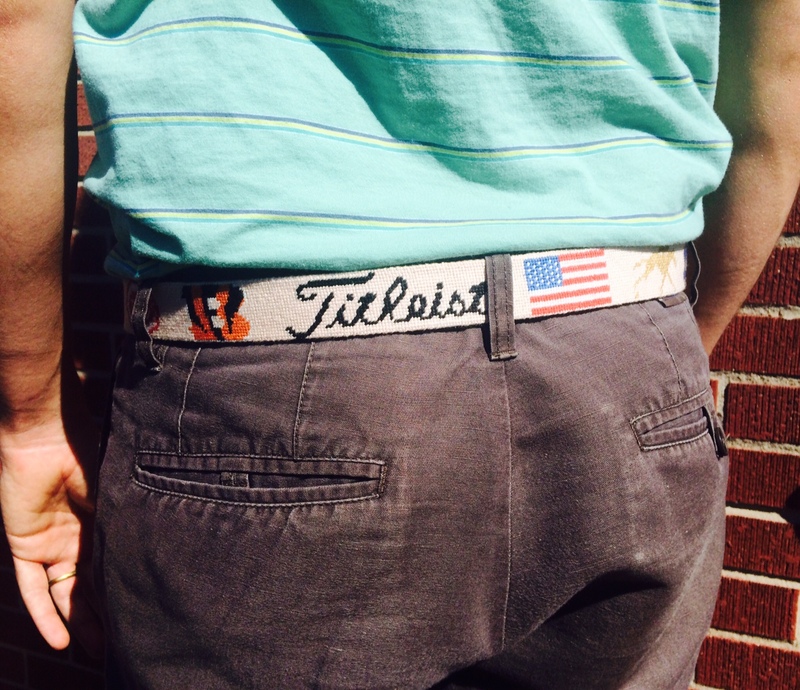 And last this week is the new 4th of July American Pride Needlepoint Belt. 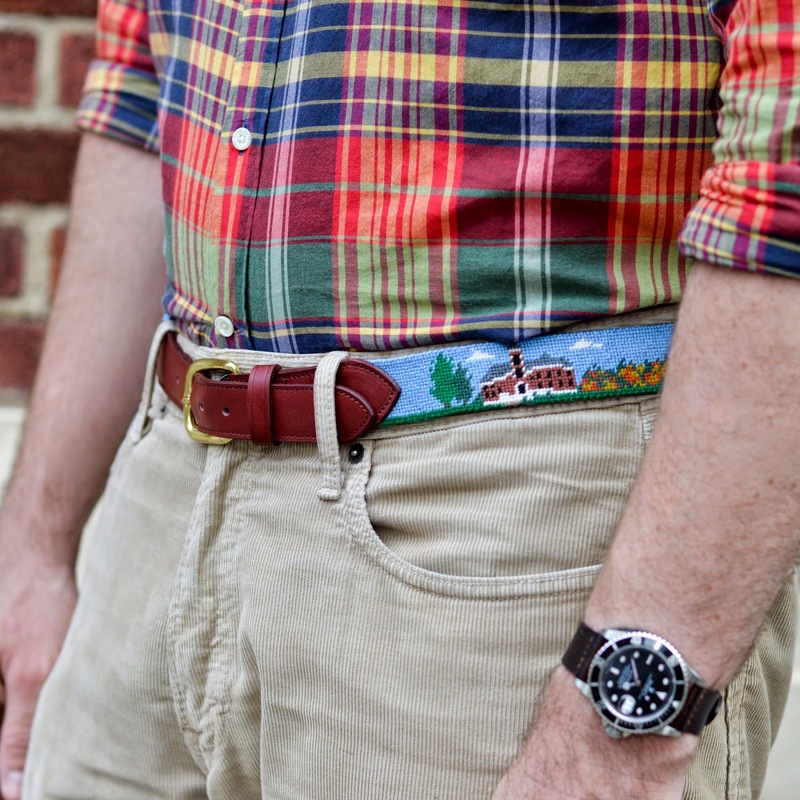 This colorful belt is great summer wear for the beach our the outdoor BBQ.